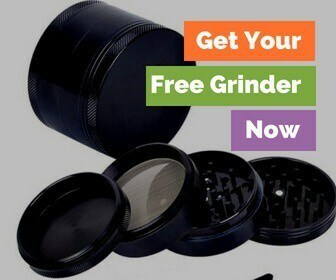 Now that you’ve got the taste of weed, do you want to up your game and try something more special? But, cannabis concentrates? They are completely on another level! 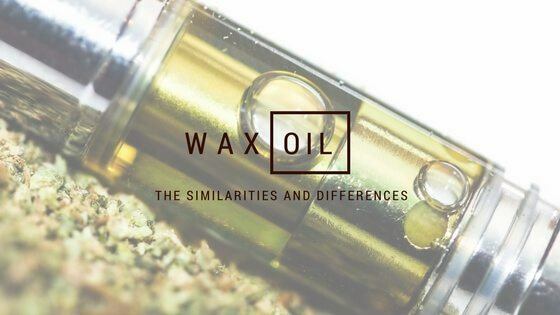 Of all the concentrates, marijuana wax and oil are the most popular, and this article will help you understand the difference between wax vs oil. A cannabis concentrate, as the name suggests, is the concentrated form of the cannabis plant’s compounds such as CBD and THC. There are several types of concentrates available today, including Shatter, Budder, Wax, Sauce, Rosin, 701, Honey Oil, etc., and any of them can knock you out. Cannabis concentrates are primarily used to derive a higher potency compared to other forms of marijuana. Cannabis concentrates contain high amounts of THC that is beneficial for several medical purposes, and extracts like CBD oil can also help relieve pain. The term “Wax” can be used to describe any marijuana concentrate that is soft and semi-solid at room temperatures. It resembles wax in texture and is also crumbly at times, but it’s nothing but the soft oil that loses its transparency during the process of extraction. As the cannabis molecules are agitated, they crystallize and turn opaque. All the goodness of the plant that might otherwise be lost while simply smoking a bud is extracted into the form of a concentrate for ease of use. Remember that the THC levels in cannabis wax can range from a whopping 40 to 99.99% compared to 15-20% found in traditional buds, so go slow because you really don’t want to rush into it and get messed up. Just like wax, cannabis oil also contains several cannabinoids and is very potent. It is dark and viscous in texture and is created because it gives the maker the ability to control the percentage of CBD or THC. If a high level of THC that produces psychoactive effects is not appealing to you, you can opt for cannabis oil containing high concentrations of CBD – a non-psychoactive cannabinoid containing several medical benefits. The process of extracting cannabis concentrates is a tad complicated. While even water, CO2, Propane, and Ethanol are sometimes used to extract wax, Butane extraction remains the most popular method; however, the maker should be highly experienced to remove all traces of Butane from the final product. Whether the output is wax or oil, the consistency doesn’t indicate the technique used to extract it. For instance, Butane is used to extract both wax and oil; however, the quality of the raw material used will determine the caliber of the final product. Ethanol extraction is one of the oldest methods used to extract both oil and wax. The plant material is soaked in Ethanol, and the resulting solution is heated to allow the ethanol to evaporate. A machine such as Roto-Vap is used to heat the solution and extract the concentrate. Butane is used to extract both wax and oil. The process involves spraying the Butane into the extractor to get a solution that contains the cannabinoids and terpenes of the raw material. The solution is then purged by heating the solution, and the final product is cooled down to produce either wax or oil. While this method sounds simple, it’s extremely dangerous as 1) a small spark can make the Butane explode and 2) you fail to extract all the Butane from the wax/oil making it dangerous for smoking. This method is known as the Supercritical Fluid Extraction where the CO2 is forced through an extractor containing raw plant material to strip all the cannabinoids, waxes and terpenes from it. The CO2 process gives the user the ability to adjust the high and flavor by manipulating the temperature and pressure. If you want to try your hand at extracting concentrates but don't want to deal with any solvents, you could go the solvent-less route by utilizing only pressure and heat to make extracts like Rosin and Budder. Any extract that contains a good amount of THC or CBD can be referred to as cannabis wax or oil. Since the extracts are known by several names, it can get confusing, but the differences lie in the texture, consistency and high. The biggest difference between wax and oil is the purging process that derives either wax or oil. If the chemical solvents are purged during the extraction, it results in a gooey liquid otherwise known as cannabis oil, but if the extract is whipped while being heated, the final output is wax that's flakey due to the air bubbles that accumulate while it's whipped. The first difference is the texture where cannabis oil is runny, dark and viscous while the wax is crumbly or sometimes soft to the touch. Hash oil, CBD oil, or BHO oil is available in syringes since it is liquid, but wax is more crumbly and comes in pouches or small containers resembling lip balms. Another difference is that while it’s easy to prepare CBD oil at home using alcohol (commonly known as Rick Simpson Oil), it’s not so easy to make wax at home unless you use a technique that doesn’t require a solvent at all. Your friends might even tell you that it’s super easy to make wax at home because all it needs is some Butane, but unless you’re prepared for an explosion that might occur even if something goes slightly wrong, avoid making wax at home. A simple method of using CBD oil is to infuse it with food and drinks, but you can also use a vaporizer or smear the oil on your joint for an exceptional high. Dab rigs are used to smoke both oil and wax, but if you don’t own any, you can rely on your trusty bong and sprinkle the wax as a topping to experience a beautiful but powerful high. Why Use Wax or Oil in the First place? Perhaps you love buds and don’t understand the hullabaloo around waxes and oils. Also, buds are cheap, but concentrates are not, so why do it? While smoking cannabis buds is great, cannabis concentrates are becoming more popular due to the potency. You simply can’t expect high levels of THC or CBD in buds, but you can get even 90% pure THC with oil or wax, making it a bargain even if you’re paying more. A little wax or oil goes a long way, and there's no wastage, but the same isn't true when it comes to smoking cannabis flowers. Regardless of what the ignorant may think of marijuana, concentrates are used by patients suffering from PTSD, Migraine, Asthma, Cancer, and a host of other conditions. The resin found on the plant contains incredible medicinal properties that manifold when combined with terpenes. If you’re only smoking buds, you’re wasting the resin on the plant, but when it’s extracted, you get all the possible medicinal benefits. Cancer patients need a higher dose to gain relief from their ailments, and that's why oil and wax are slowly increasing in popularity day by day. Smoking or consuming extracts that contain pure THC/CBD, irritants and sugar is more desirable because you get high faster and the smoke is cleaner, and your lungs will also thank you. When it comes to wax vs oil, it will mainly be personal preference. Oils are easier to smoke with pens and joints, while wax is going to be better for dab rigs. Either one is going to get the job done. Have you tried both? If so, which one do you prefer? Any strengths and weaknesses we didn’t mention?